Managed to sneak out for a few hours. 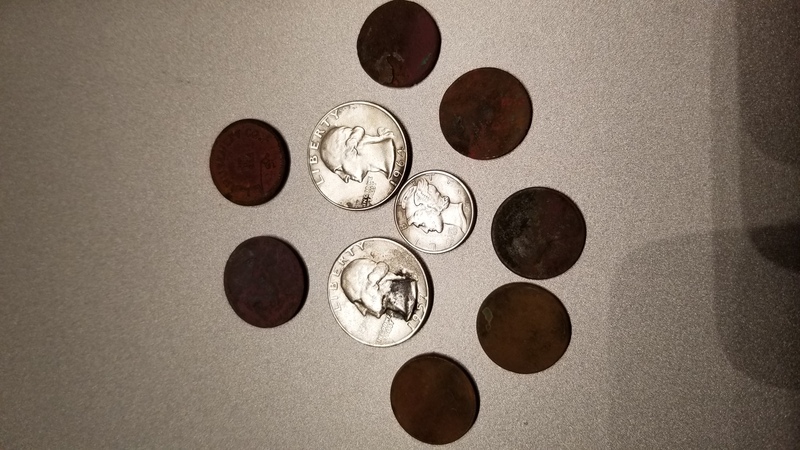 1 merc, 2 washingtons, 5 wheats with oldest 1916, and one gaming token. 33 coins in total. Not sure it's going to keep giving as my tests away from the honey hole came up dry. Mx sport again with the 7" DD.